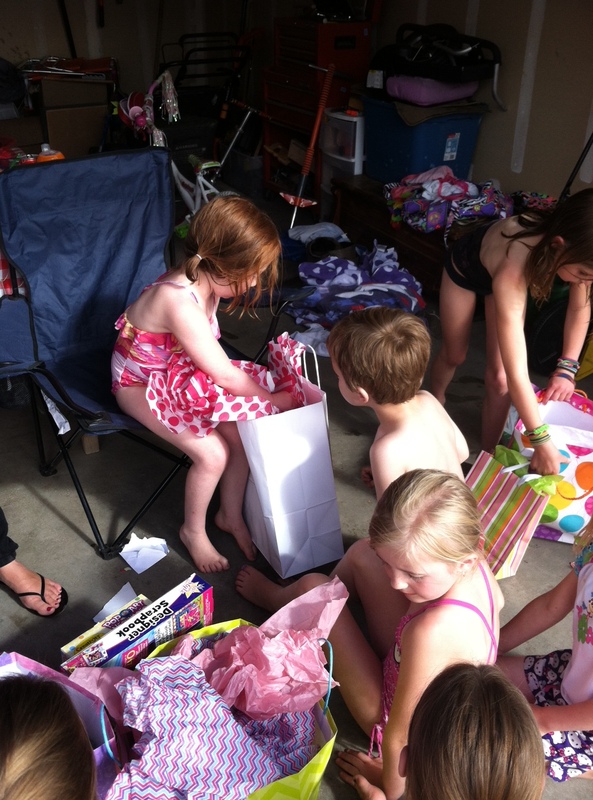 Yesterday Davey went to his friend Olivia’s birthday party. 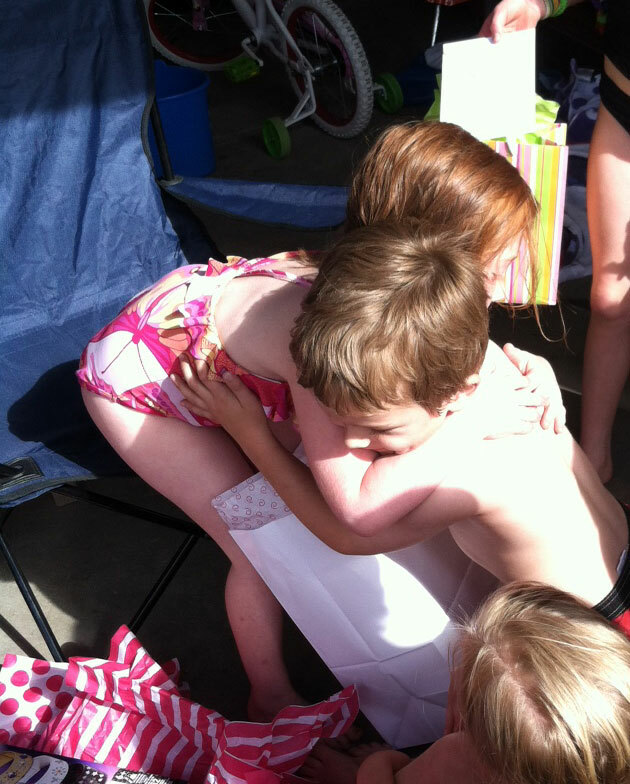 Somehow they hadn’t seen each other since her last birthday party. 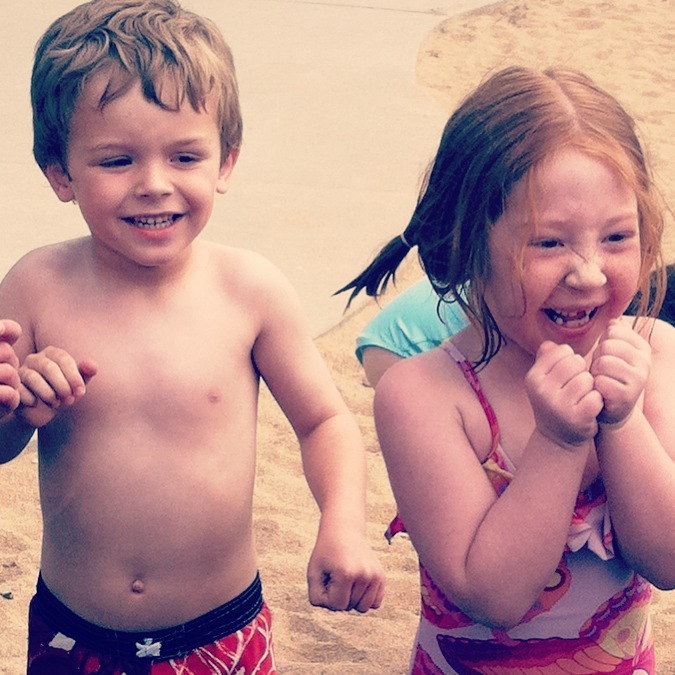 I seriously don’t know what happens to time, but they were very happy to see each other again. One of the games they played was called hot potato. Cool game – there was a water balloon on the inside of the potato which popped after a certain amount of time. It was too much stress for Davey although he hung in there for just a little while. When it came time to open presents Davey waited very patiently for Olivia to get to his. Then he leaned in to watch her open it. I also got my Icelandic Knitting book in the mail and had to start on a scarf pattern in it. 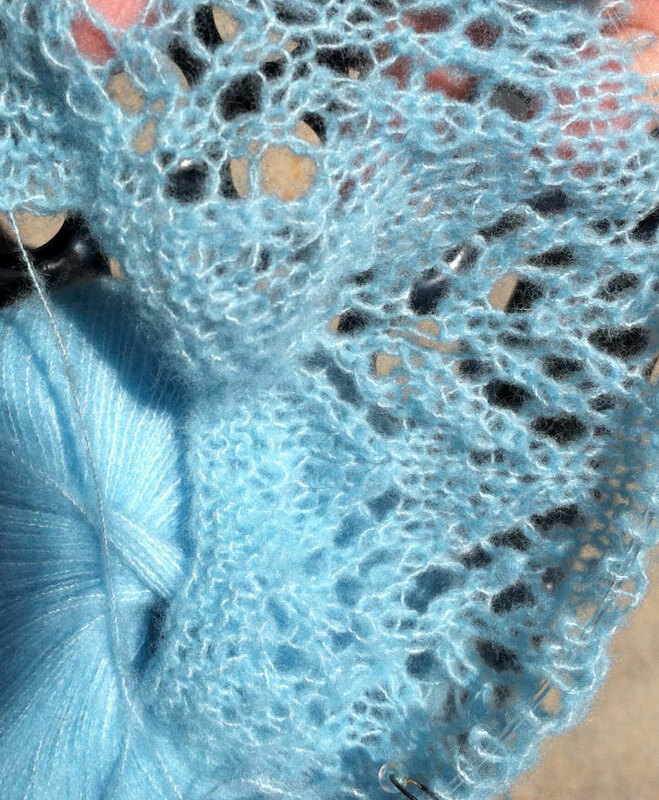 I usually get bored with scarf patterns, but this is lace and is really fun so far. Part of it is that I am using this incredible yarn: Filatura Di Crosa Superior. It’s mostly cashmere with some silk and merino wool blended in. It is so soft and light – ethereal (there’s a word I don’t get to use every day.) It is amazing. It is a laceweight and so light that the knitting does go kinda slowly, but that’s ok. It’s so nice to work with. I actually bought it from Knit Unto Others when I was still in Arkansas. I fortunately got it on sale there, and I was always waiting for the right project for it. I think I found it. This yarn is so light and lacy that my iphone can’t focus on it properly. Really! I have tried multiple shots with no luck. I need to get the light just right. Either that or break out my regular camera! And finally – Davey asks so many random questions. I love to hear what he is going to ask next. This morning, very first thing, I heard him ask David: “Daddy who was your best friend when you were a kid?” I don’t know why he thought of it very first thing, but I liked hearing his sweet voice asking the question! Maybe he was thinking about his time at Olivia’s party. The color on your new shawl is lovely. Isn’t it funny how some yarns are so hard to photograph?